Enter a new smartphone app that aims to use technology to help COPD sufferers to recognize emergencies, and avoid unnecessary doctors’ or ER visits. Ted Smith is the CEO of Revon Systems, a tech company based in East Louisville, and the developer of the “Smart COPD” app. The app is designed on a simple premise: that some of those emergency room visits could have been prevented if people were able to track their symptoms. “The focus of the app is helping you keep track of whether your systems are starting to deteriorate so that you don’t have to get to a point where you have to go to the hospital for emergency care” Smith said. When you open the app, it poses a series of questions: “Shortness of breath?” “Cough?” and “Running nose or feeling like you have a cold?” It also asks for temperature, and for users to punch in the readings from a separate device that measures oxygen saturation and heart rate. Finally, the app evaluates the information and tells the user whether they need to head to the ER, call their doctor, check back in a few days or that no medical attention is needed. It’s simple, and requires only a cell phone and a cheap finger oxygen and heart rate monitor. “People have telephones, they’re our life line. So putting a self-management tool on a cell phone is just a genius idea,” Montague said. He sees that as a possible opportunity for Smart COPD to reach more people with low-incomes. “If there’s one thing I wish for, it’s that we take advantage of something we’re already paying for as a society and turn it into health care,” Smith said. Interested? Search for ‘Revon Systems’ in your App store and look for the “Smart COPD” app. Recognised over 100 years ago, this condition is different from migraine. Cluster headache (CH) sufferers deserve more attention, as the pain is often described as one of the most painful conditions known to mankind, with female patients describing the pain of attacks as worse than childbirth. A study in the UK suggests between 1 and 5 sufferers per GP and between 34,000 and 150,000 sufferers in the UK with prevalence in men is 3 to 4 times higher. 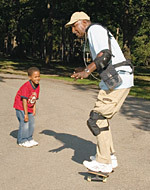 It usually begins between the ages of 20 and 40 years but can start at any age. It is still not known why some individuals suffer from CH or why they exhibit the characteristic periodicity. However, progress is being made and a number of theories are plausible and may help progress with new treatments. First-degree relatives of CH patients are more likely to have CH than the general population. About 1 in 20 sufferers has another family member who also has CH. The pain is centred around or behind the eye, temple or forehead, although the neck and other parts of the head can be involved. Pain is accompanied by nasal congestion, eyelid swelling, facial sweating and nausea may accompany the pain, but is much less of a feature than with migraine. 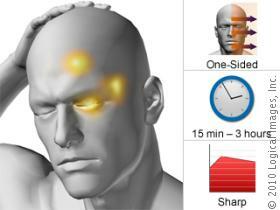 Sufferers, unlike with migraine, cannot keep still and are described typically as restless. Patients pace around, occasionally banging their heads on walls and furniture. Patients should be encouraged to have both acute and preventative treatments available. This may involve completion of Home Oxygen plus maintain a regular sleep routine and good sleep hygiene (avoiding tea, coffee, etc). Oxygen – 100% oxygen, given for 15 minutes up to five times per day, is safe and effective in 80% of cases. It is given by a tight-fitting mask and is particularly useful for night attacks. Alternative therapies, such as acupuncture, have also been very helpful to some patients but in the majority home oxygen therapy is the most effective. Climate: many people with lung conditions prefer warm climates that have salty air. Lower oxygen levels at higher altitudes can make breathing difficulties worse. Terrain: whether your destination is flat or on a hill could affect your ability to get around comfortably. Special needs, such as oxygen treatment. Many people believe their lung condition will prevent them from flying. This is not necessarily true. 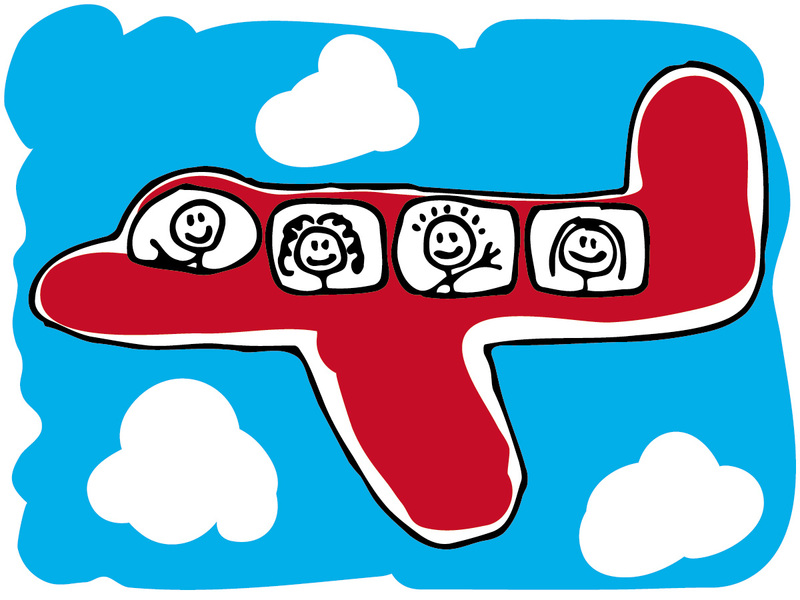 First, ask your doctor whether you can travel by plane. Most people with a lung condition can go on planes, even if they need oxygen. If you use oxygen therapy, you should ask your doctor if you might need additional oxygen on the plane. Once your doctor has given you the go-ahead, contact individual airlines to discuss your requirements and to find out what their policy is for carrying and using oxygen on planes. If you are planning a long-haul flight and use a continuous positive airway pressure (CPAP) machine to treat the sleep disorder obstructive sleep apnoea (OSA), you should consider whether you might need to use your machine during the flight. Some airlines have restrictions on what machines are permitted for use on board and others may require you to fill in a form before you travel. 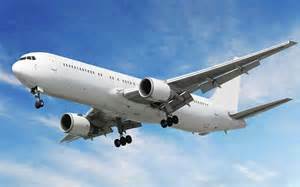 Many airlines have a medical officer or dedicated unit for disabled passengers or those with special medical needs. Contact the airline before you book to discuss your needs. Some travellers have found that hiring a portable oxygen concentrator (POC) in the UK to take abroad is an alternative to arranging oxygen supplies for the majority of their holiday. However you may still need to consider arranging a back-up supply of oxygen for emergencies. If you are travelling by plane, you should bear in mind that different airlines have different policies for using and carrying oxygen and medical devices such as POCs on board. Always check with the airline you are travelling with before you book. Traveling with oxygen can be very intimidating but with proper planning it can be accomplished comfortably and safely. You don’t have to give up the adventure of travel. You just have to make your arrangements in advance and be willing to take the extra time to confirm details prior to your trip. Every airline is different. When making an airline reservation, ask about specific regulations and restrictions that may apply when carrying oxygen on-board your flight. Always schedule a pre-trip medical exam before traveling. 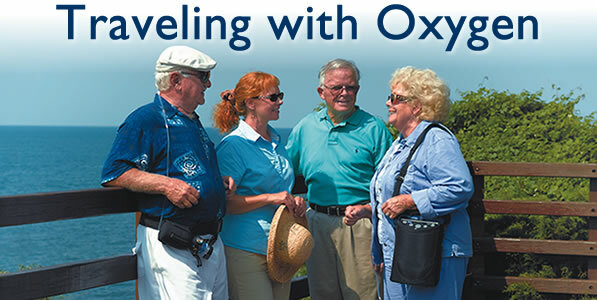 Discuss traveling with oxygen with your doctor. Don’t forget to obtain a letter of medical necessity from your doctor during your pre-trip medical exam. This must be carried with you and presented to the airline before you board your plane. 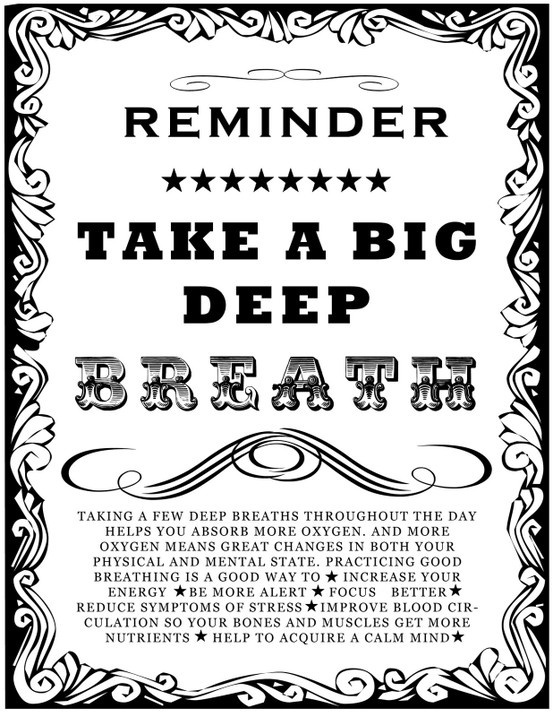 Remember, the letter should include your oxygen flow-rate. You may want to make an extra copy and tuck it away in your luggage, in the event you lose your in-hand copy before your return home. Remember that altitude may increase your oxygen requirement. Your prescription for oxygen should reflect this. Don’t forget to carry your medications in your on-board luggage and to carry an adequate supply of COPD rescue inhalers when you travel. It is wise to keep any medications in their original containers, and to bring a note of medical necessity from your doctor.